Have you ever wanted to get married at the center of three wonderful Smoky Mountain communities? Have you ever wanted to be at the epicenter of all the magic and convenience that getting married in the wonderful Smokies could provide? That provision is where our name at Enchanted Gatlinburg Weddings came from – our Enchanted Valley Barn is located right between Pigeon Forge, Gatlinburg and the Sevierville area of Pittman Center in one of the most gorgeous spots the wooded, elevated Appalachia has to discover! When it comes to weddings, we’re proud to say we’re different. We offer something a little more special. 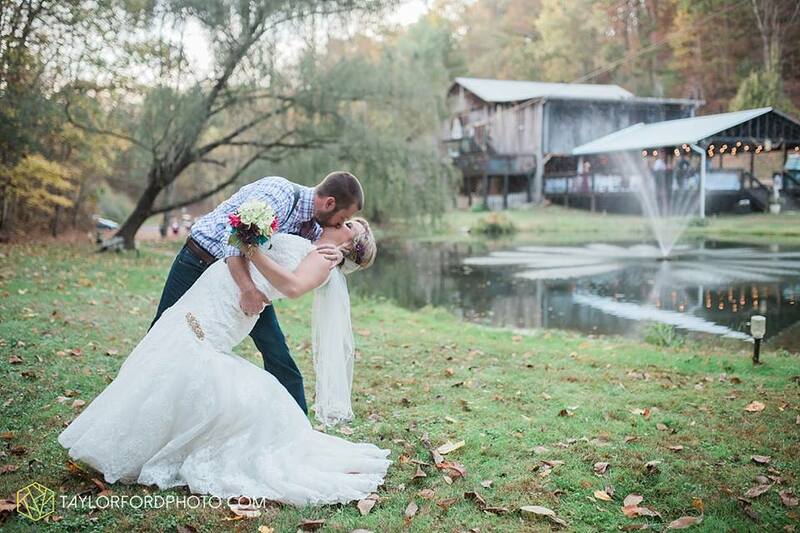 If you’re looking for a true Smoky Mountain love story, the PERFECT country chic wedding, an amazing event staff who will work with you and your visions, and a setting with historical character that will amaze your guests, then Enchanted Valley Barn is it! Enchanted Valley Barn is a very special wedding and special event venue where the DIY bride or event planner may work to create their very own special story. We offer venue rentals with special provided amenities. We also offer the opportunity for you to custom plan your wedding as your create your own wedding story. * Kitchen for caterers use. * Bar with taps for beer. * Tub for cooling wine. * 4 large whiskey barrels for use as tables or decoration. * Cake table (2ft by 8ft long). * Black walnut countertop for buffet serving (3 @ 8ft long). * (12) 8ft banquet tables. * (10) 60 inch round tables. * (3) 8ft gas heaters. * (40) White fabric tablecloths – 20 round and 20 oblong. * (150) White dinner plates, white salad bowls, and silverware. * Staff to direct traffic for parking. * Sound system (refundable $250 security deposit for use of sound system). * Burlap runners for tables are available. * Glass vases/hurricanes for flowers on all tables are available.